A novelist and a chef team up. The result: an Ancient Roman feast. If you’ve ever dreamed of attending an Ancient Roman feast, now’s your chance. 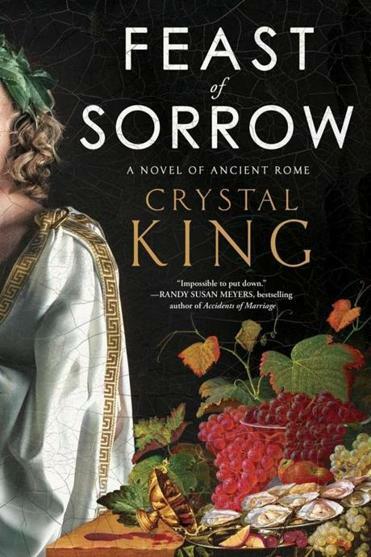 Local author Crystal King and chef Michael Pagliarini (Benedetto and Giulia) are teaming up to take you back in time, to what life was like around opulent tables during the reign of Caesar. The three-course dinner — which takes place June 20 at Benedetto in the Charles Hotel in Cambridge — is billed as an extension of the culinary adventures in King’s new novel, “Feast of Sorrow.” The work of historical fiction is based on the life and luxurious meals of Marcus Gavius Apicius, thought to have written one of the oldest surviving cookbooks. Tickets are $150 and include a copy of the book. Go to www.eventbrite.com/e/a-taste-of-ancient-rome-tickets-33624895969.